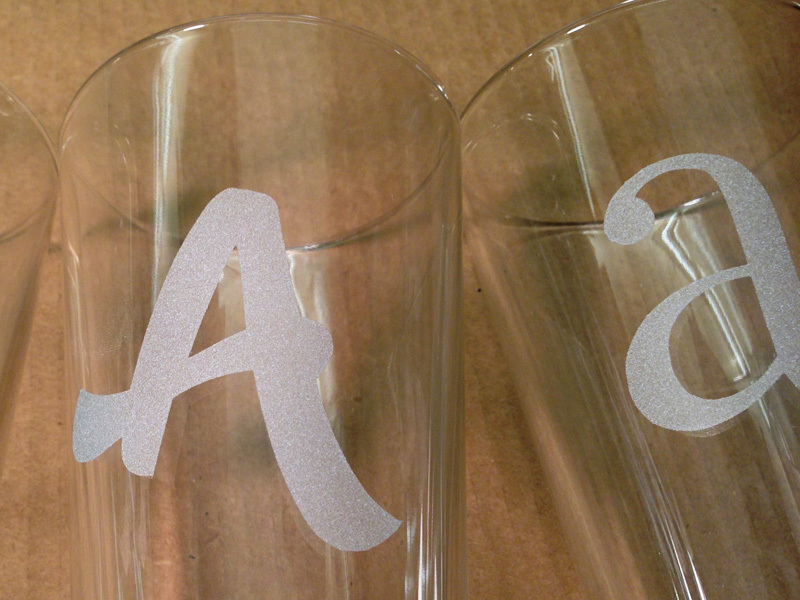 As a holiday gift for our friend Alex last winter, E and I made this set of frosted, monogrammed pint glasses. Filosofia by Zuzana Licko for Emigré. 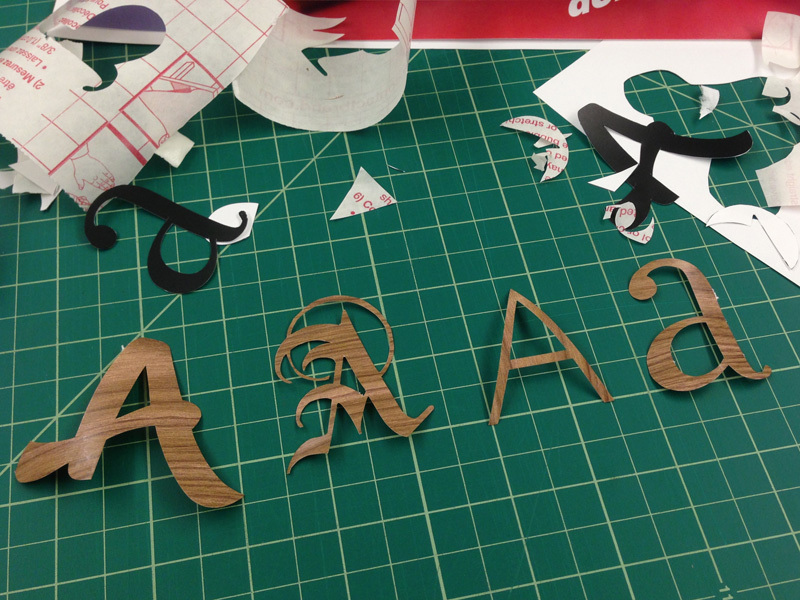 We chose these typefaces for their variation in style and color. Here’s how we got them onto the glasses. 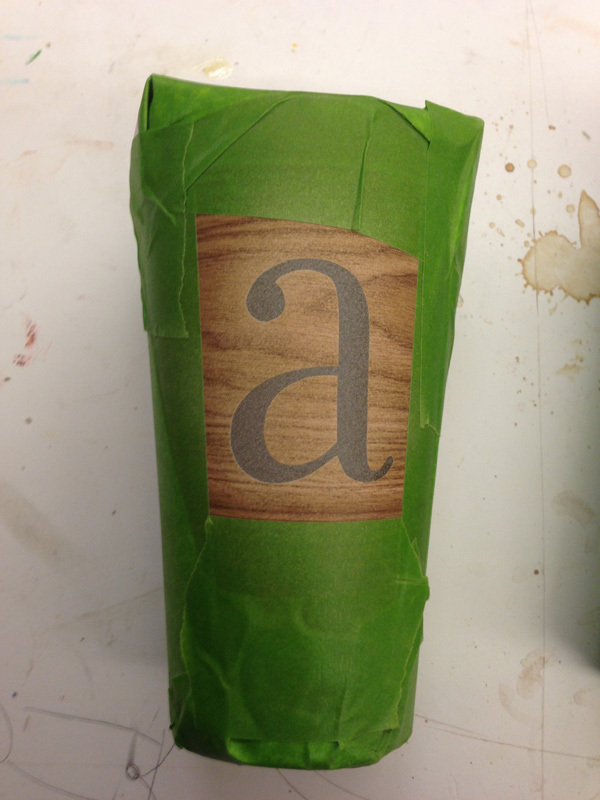 First, we printed out the letters and cut them out on top of a sheet of contact paper (with the backing left on). My favorite effect of this technique is that you end up with both a stencil and a sticker. 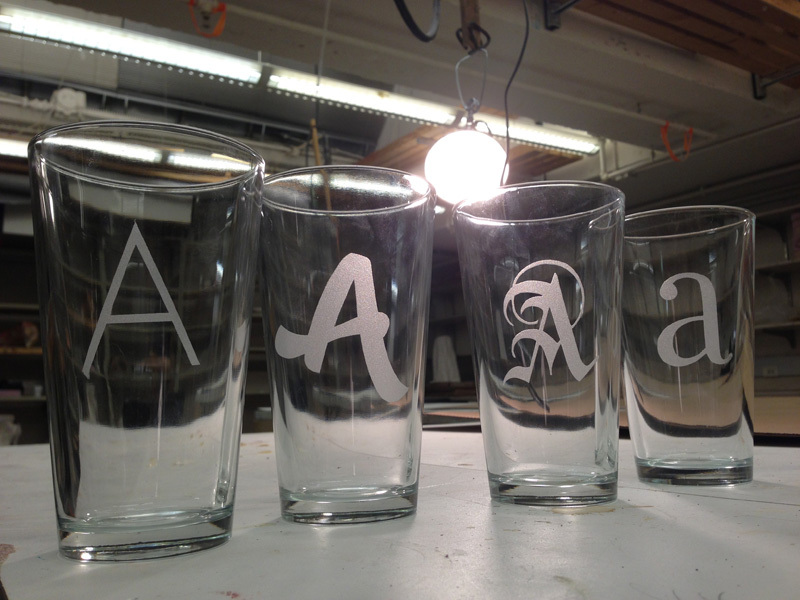 Next we applied the negative shapes left behind by the letters to the glasses. To position any free-standing parts like the counter of this “a”, you can temporarily slip the positive shape back into the negative shape and use it as a guide. After that, we masked the rest of the glass with tape and scrap paper, and sand-blasted them for a few seconds to frost the exposed surface. Pretty simple! Also, cheap: E found the glasses at a thrift shop for something like $2 each, we used less than a square foot of contact paper and tape, and the sandblaster was borrowed. This is definitely a technique I’d like to revisit in the future—sandblasting is one of my favorite surface treatments for glass and metal. Maybe I’ll post what happened to the leftover stickers later.